While technology can greatly enhance compliance, it’s not the only means for improvement. Sometimes the simple things can change behaviors the most, Huffman says. Healthcare facilities need to make sure dispensers are filled and checked regularly. Signage is also critical. Lewis recommends placards that remind workers to wash for 20 seconds, the right way to rub and scrub hands, and to sanitize afterward. Soap dispensers should be next to the sink and there should be enough dispensers to encourage people to wash. 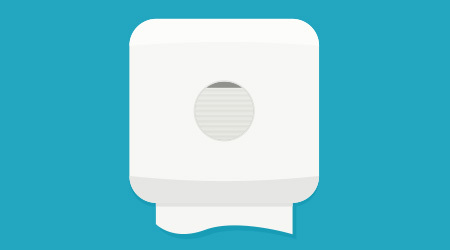 The placement of hand sanitizer dispensers in entryways and hallways, near banks of elevators, in restrooms and in patient care areas, also helps improve compliance. When selecting hand sanitizer it’s important to consider product additives, or other ingredients that could cause user discomfort. The CDC recommends using sanitizer for 30 seconds to adequately disinfect the hands. To help improve hand sanitizing compliance, distributors can offer dispensers that feature a red flashing light on top that stops when the 30 seconds is up, says Patrick Murphy, Dreumex USA Inc., York, Pa. In industries where employees wash their hands frequently, it’s important to understand the risk of dry hands, or other issues, such as occupational dermatitis. Giving workers ready access to moisturizing creams will prevent their hands from drying out, which will improve wash rates as dry and cracked hands have been shown as common reason workers do not wash their hands in drier, colder weather. In addition, studies show that end users prefer foam soap over liquid or gels because it’s economical and effective. Facilities need to take a close look at hand washing rates. Whether distributors offer high-tech or low-tech solutions (or a combination of both), the important thing is improving compliance rates. Washing hands is a top defense in infection prevention, and can save lives. Ronnie Garrett is a freelance writer based in Fort Atkinson, Wis. She is a frequent contributor to Sanitary Maintenance.